'I'll be back, Morna...' to Jared it was a foolish promise he had never expected to keep. 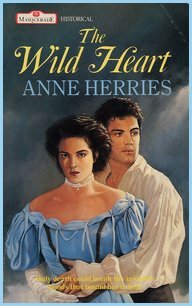 Now the girl whose heart he had captured was a passionate young woman--"and he was a man haunted by bitterness, desperately struggling to save his family's estate. His desire for revenge set him on a dangerous course which was to lead to a cruel destiny. Condemned to exile, he vented his fury on the woman who loved him--"the one woman who could save him from himself. Did Morna have the courage to follow him halfway round the world?